HMS Hermione was a 32-gun fifth-rate frigate of the Royal Navy. She was notorious for having the bloodiest mutiny in British naval history, which saw her captain and most of the officers killed. 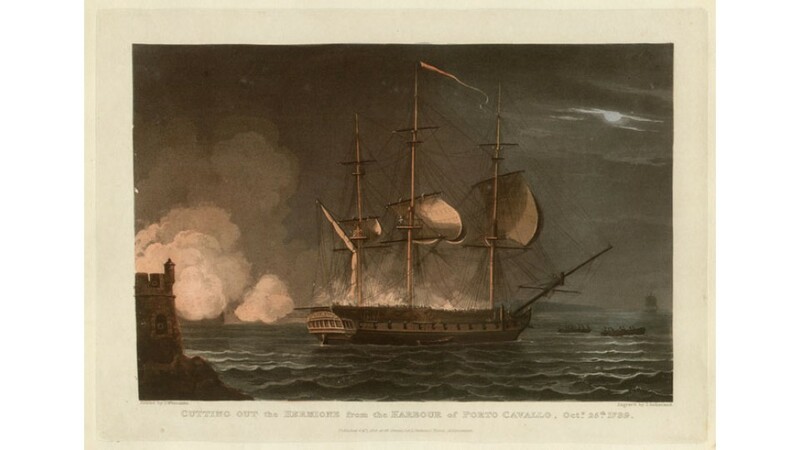 The mutineers then handed the ship over to the Spanish, where she remained for two years, before being cut-out and returned to Royal Navy service. 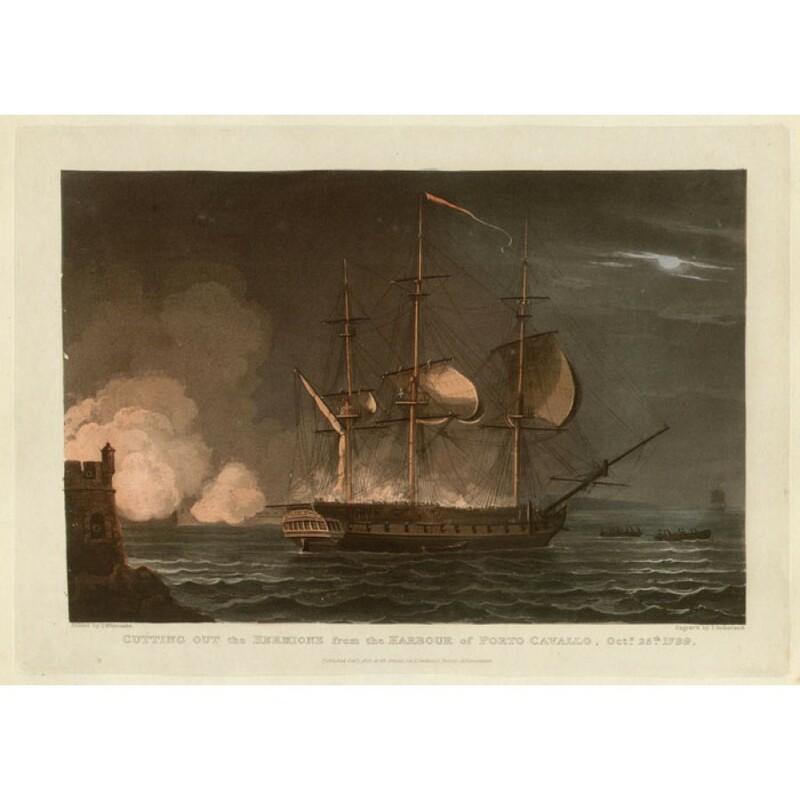 The raid was successful, Thomas Whitcombe (1760-1824) was a marine painter whose works are in several English collections, in particular the National Maritime Museum, Greenwich. Engraving from 'The Naval Achievements of Great Britain' by James Jenkins.